It’s early, just after six, and I’m crouching in the field between rows of cherry tomatoes, the plants’ wayward branches brushing against my arms and staining them yellowy green. On the mornings of hot farm days I dress in the dark and load dusty black crates into the boot of my car, then drive through hills and vineyards gilded by the rising sun. In mid summer it feels like everything in the market garden is at its boldest. Winter’s weeds have died down. There are bursts of colour amongst the green – zinnias, and strawberries, and long curled cayenne peppers. In the half-acre we’ve been farming for three seasons, everything looks healthy and lush. The new patch though, tilled up over winter in preparation for the farm’s expansion, is struggling a bit. I spend hours each week picking the tomatoes and capsicums here, hauling and sorting and packing them. But the plants aren’t as tall as they should be by now, and long swathes of foliage have withered and dried up. Comparing the soil tests from each of these two patches tells a story of degradation and regeneration. The untouched section of the farm, once used to agist horses, is drastically low in phosphorous, while the part we’ve been cultivating and feeding has high mineral levels and almost double the organic matter. It’s a story Charles Massy has seen play out many times in farms across the country. 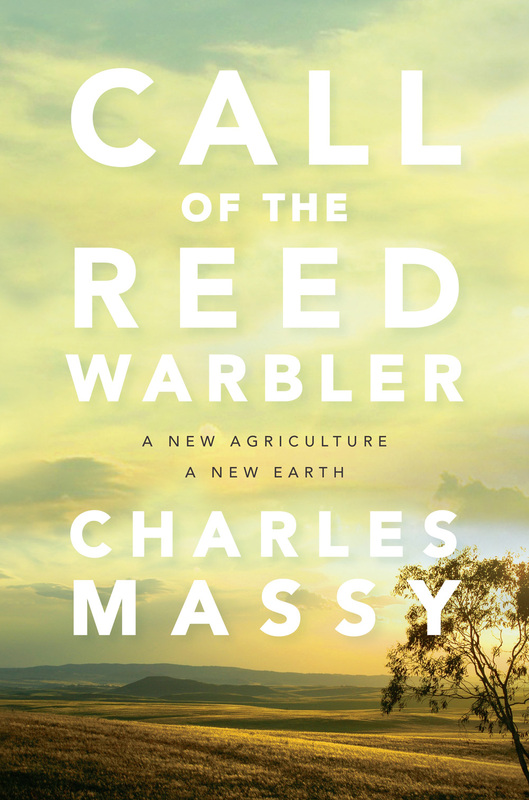 Soil fertility is central to the research, observations and exhortations that comprise his recent book, Call of the Reed Warbler. The vitalness of Massy’s work lies in its honesty, its being at once radical and deeply practical. ‘A new regenerative agriculture is subversive,’ Massy tells us, ‘but in a truly constructive way.’ According to Massy, the subversive farming practices he describes can increase biodiversity and ecosystem resilience. They can build stronger rural communities. They can improve human health. Most remarkable of all, if used widely enough, they can halt climate change. The power of the solution hints at the scale of the problem. Unthinkably vast tracts of agricultural land in this country are seriously degraded. Like our market garden’s struggling tomatoes on a massive scale, the yields and the health of plants and animals are suffering as a consequence. Massy’s case studies describe deforested pastures that can’t hold the rain, their ancient topsoil sent whooshing in torrents to the road and down the valleys. There are the well-worn tales of farmers taking on more and more debt to try and keep afloat, pouring ever-greater quantities of fertiliser and herbicide on their soil at the behest of hired agri-business consultants. 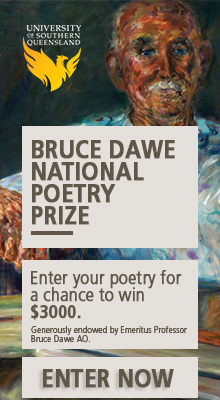 Reversing this damage is only possible through a new ecological literacy. Call of the Reed Warbler’s recurring refrain is that all natural systems are self-organising; that, as put by several of Massy’s interviewees, farmers and managers need to ‘get out of the way’ and allow nature’s processes to return the land to a state of health. Getting out of the way, in this case, does not mean doing nothing, but rather minimising unnecessary intervention – in the form of soil disturbance, overgrazing and the application of chemicals – and encouraging healthy landscape functions. This is done largely through methods of livestock rotation that imitate natural herd grazing patterns, but also by revegetating land to create wildlife corridors, judiciously directing the flow of water across a landscape, and drawing on organic sources of fertility like compost and animal manures. For the farmers who bravely set off down this path, the results speak for themselves. And so this reckoning is an essential part of our role as regenerative farmers, one that goes hand-in-hand with our commitment to the landscapes in which we set our roots. Massy doesn’t spend much time discussing tiny farms like the one I work on. But each week in the field, I can see that what we do is still an important example of the new agriculture his book describes. I see it in the heaving growth of new transplants in their compost-rich beds, in the proliferation of ladybirds keeping aphids out of the greens, and in the painful contrast between the soil we’ve been feeding and the soil we haven’t. Given the opportunity, natural systems will self-organise. Massy’s book reminds me of what I sometimes forget in the swirling haze of summer, the long sweaty days of hard work and low pay: Farming is an act of resistance. This, for me and for a lot of young farmers I know, is why we started doing it. The bodily strength, our immersion in the seasons, the exquisite exhaustion, the most delicious and nourishing food we’ve ever eaten – these are happy side effects that keep us going. But in the beginning and in the end, we farm to heal; to help solve the world’s problems in the quiet and honest way we think we can. Phoebe Paterson de Heer is a South Australian writer, editor and organic farmer. More power to your arm, and call to arms! You’ve captured the essential essence of Massy’s book and shared it in a beautifully personal, poetic way; thank you – for that, and for your farming. Very well written and insightful review! As a vegan I find the message in Call of the Reed Warbler encouraging and vital. 1. Crops, by definition, are monocultures, and therefore not natural. The idea that nature will ‘self-organise’ and allow broad-scale crops to be grown without pests or fertilisers is simply a glorious fantasy. What works for low-input graziers like Massy will not, and demonstrably does not, work for people who produce bulk commodities. 2. Massy’s contention that ‘conventional’ farmers are the willing dupes of evil agri- chemical corporations is also attractive but illogical, unless you also assume some massive conspiracy amongst companies and that almost all farmers (except Massy) are stupid). Careers are made from telling people what they want to hear. Crops are not “by definition” monocultures. That’s just a silly claim. Broad-scale cropping does involve monocultures, but it is not our only option for feeding ourselves. The average IQ of farmers is almost certainly lower than the average IQ of PhDs. So, I’d put money on it that most farmers are a bit duller than Massy. There are options to ‘broad scale agriculture’ in feeding the world ? What options can you suggest that are anywhere near productive and efficient enough to provide food at reasonable cost? High cost, low productivity ‘niche’ farming systems may be good for people who have high disposable incomes at urban farmer markets, but that is not most of the world’s population. We cannot abandon broad scale agriculture; nor can we feed our overpopulated planet without harming the environment. We need to use ALL the tools we have to reduce agriculture’s impact, and those tools include science and technology. A simplistic anti-science ideology is attractive but will not solve the problem. As far as agribusiness is concerned, Peter, might, monoculture and Monsanto, is always right, even if, and especially when, proven otherwise in and by the Anthropocene. Other things you might do, Peter, is read Massy’s book and check Monsanto (Bayer) web links. Re the latter, Monsanto is claiming now to be working with farmers to grow food more sustainably (after $million law suits being delivered due to cancer stemming from glysophate (‘Roundup’) usage). And, re Call of the Reed Warbler, crops are not monocultural when natural, social and cultural systems are working together harmoniously (rather than soil and growth environments being monstered by Cartesian/mechanistic thinking and practices): that is, solar, water, soil and mineral bases being in dynamic interaction with natural environmental systems and social (human) inputs. Jake, I have read Massy’s book, and in fact it was his reference to a link between Monsanto’s glyphosate and autism which finally destroyed (for me) any credibility the author had. His ‘evidence’ against glyphosate is mainly derived from a paper by Samsel and Seneff, a paper so discredited that even the normally credulous Huffington Post dismissed it – and this, presumably, is his best evidence. One bird does not a summer make. The jury returned its verdict against Glyphosate long ago, negative all round, so reversing Monsanto’s (Bayer’s) initial claim it was so safe you could bathe in it, (and ‘we’ did, to ‘our’ detriment). Chemical sprays and artificial (inorganic or synthetic) fertilisers are agents of and for anthropocentric self destruction. And no bird sings (their praises). What ‘jury’ has returned their verdict? The University of YouTube? I prefer my opinions to be fact based. I’m not here to defend Monsanto, or industrial agriculture in general. But If you read the linked HuffPo article above, it makes the point that we aren’t going to cure our environmental problems with bad science or head-in-the-sand ideological posturing. Good arguments should be based on facts (i.e. science), not anecdotes, ‘gut’ feelings or random ‘documentaries’ found on Google. Or bad books, for that matter. Facts can be as slippery as values, Peter, depending upon what different readers want to privilege in respect of so called facts. I don’t know either that tub thumping in a Mr. Gradgrind manner achieves too much: ‘Facts alone are wanted in life. Plant nothing else, and root out everything else.’ And on that agricultural score, be your own guinea pig if you want nothing but facts, buy a glysophate product, read the label’s safety instructions, and decide whether to abide by those instructions or not. What you decide will be indicative of the values you hold, irrespective of so called empirical facts, which are always dependent on how an experiment is set up to begin with. I’m happy too to leave you the last word here, Peter, because I can’t work out who is more at fault: the sober person responding or the drunk person provoking the argument further. So, the dam wall has burst – a US groundkeeper has just been awarded $289m in damages as a result of using the Monsanto weed killer, Roundup. Note too how Bayer shares have fallen 10% as a result of this court ruling. And that’s just one human. What of the colossal detrimental/terminal effect over a long period of time not only on humans, but on wildlife, water, atmosphere, soil, soil structure and organisms etc.? What a fatal experiment glysophate has been all round, all up.